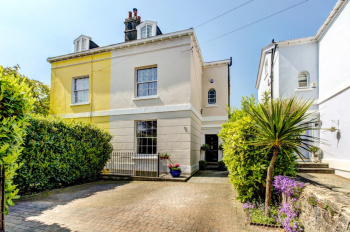 A charming, homely and well-located 3/4 bedroom 3 storey Victorian family home offering plenty of original character and features, a good sized (16ft x 11ft) kitchen/breakfast room and a landscaped 22ft rear garden. Flexible and spacious accommodation with a pleasing layout and generous room proportions. 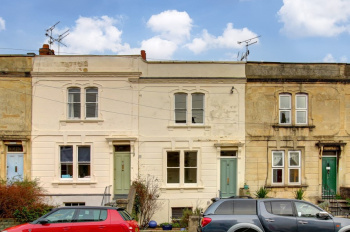 Fabulous location, within just yards of the independent shops and high regarded cafes and restaurants of Chandos Road, also within easy reach of Cotham Gardens Park, Redland Train Station, Whiteladies Road and Gloucester Road. 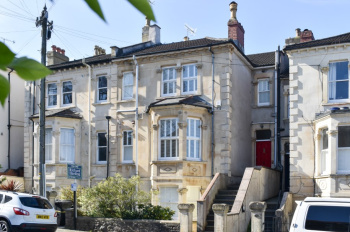 Excellent schools including Cotham Gardens (Primary) and Cotham (Secondary) are less than 1/2 mile away. Raised Ground Floor: entrance hall, 16ft x 12ft sitting room, bedroom 3. First Floor: landing, bedroom 1, bedroom 2, modern fitted bathroom/wc. Set within an elegant Victorian period semi-detached building - a versatile and recently extended, 3 double bedroom, 2 bath/shower room, hall and lower ground floor garden maisonette, of circa 1,200 sq.ft., having sociable 28ft kitchen/breakfast/dining room with full-width sliding doors opening onto a sunny rear garden. 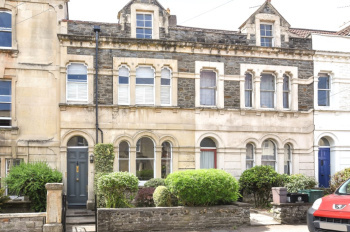 The sellers have extended the apartment in 2017 to create a bright kitchen/breakfast/dining room which is an ideal space for entertaining with south-westerly facing sliding doors opening onto a sitting out area and the rear garden. 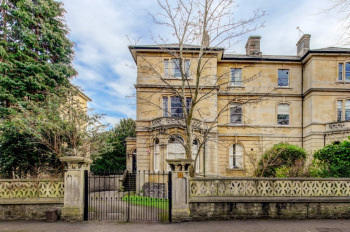 A well-proportioned apartment that boasts an impressive drawing room (16'3 x 12'6) with ornate moulded ceiling rose and cornicing, period style fireplace with inset wood burner and virtually full width bay window to the front elevation. An elegant and spacious 2 bedroom (circa 1,000 sq.ft. ), first floor apartment with separate kitchen, utility room, sitting room and two bathrooms. 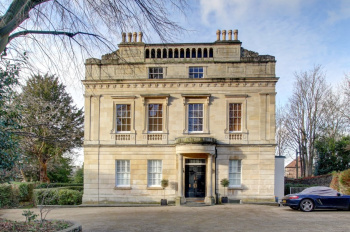 It is set within a particularly attractive grade II listed 1800's Italianate style house and benefits from one allocated parking space with visitors parking. Located on a discrete cul-de-sac yet very well positioned in a central location. 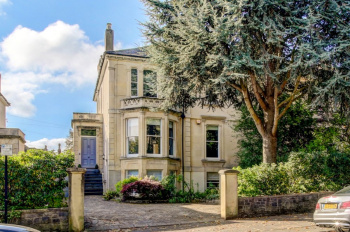 The property offers a green and leafy outlook but is within a few hundred metres of the vibrant hustle and bustle of Cotham Hill and Whiteladies Road as well as being in close proximity to the BBC, BRI and Bristol University. Accommodation: entrance hallway, sitting room, kitchen, utility room, bedroom 1, bedroom 2 with en suite shower/wc and bathroom/wc. Outside: one allocated parking space and two visitors spaces. 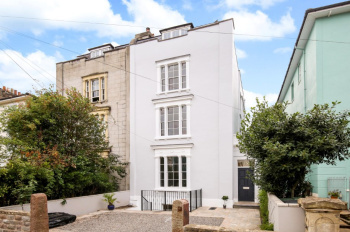 Presented to a high standard - a fantastic 2 double bedroom lower ground floor garden apartment of 931 sq. ft. benefiting from a private front garden and driveway parking, Set within a fine Victorian semi-detached building - located on a lovely tree-lined street nestled between Whiteladies Road and Chandos Road. 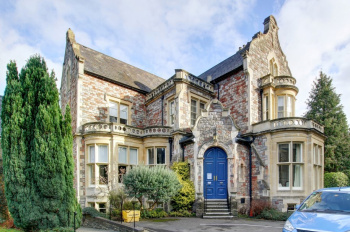 The property benefits from residents parking and is set in a favourably central location just yards from Whiteladies Road and within easy reach of Chandos Road, Gloucester Road and Cotham Hill, plus local employers of the Bristol Royal Infirmary, BBC, University and central commercial districts whilst Clifton Down train station is a short walk away. 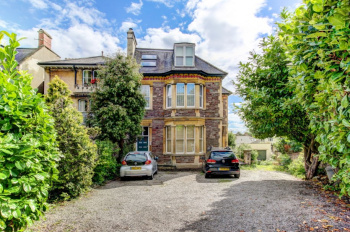 An exquisite hall floor garden apartment, boasting 2 double bedrooms, a separate kitchen and a large sitting room (18ft x 14ft). Each room is light with pleasant views. Private side garden (50ft x 18ft) that basks in the sun most of the day. 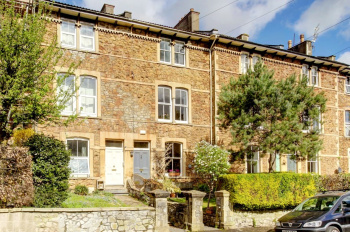 Set within a Victorian semi-detached building, positioned on the corner of Clyde Road and Clyde Park. 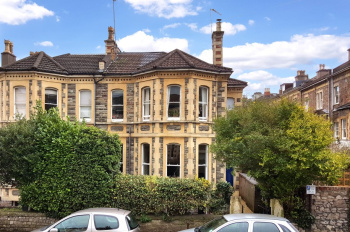 Set in an incredibly convenient location - next to Clyde park garden and only a short walk to Whiteladies Road and Chandos Road, a little further afield are the Downs, Clifton Village and the city centre. 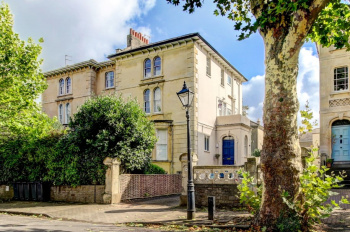 The property retains many period features such as high ceilings, wooden sash windows, period fireplaces, moulded plasterwork; the property also boasts a box bay sitting room (18ft x 14ft) and bay fronted bedroom. 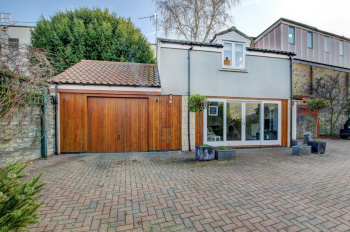 A modern detached 2 bedroom coach house with spacious single garage set within electric gated forecourt in a quiet enclave a short distance from Cheltenham and Gloucester Road. No onward chain. 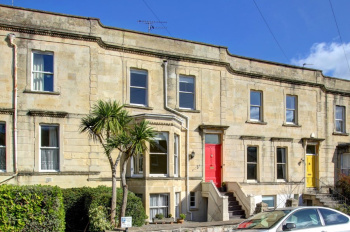 Highly convenient location in Cotham within easy reach of the independent restaurants, cafes and shops of Gloucester Road and Stokes Croft, also within 1/2 mile of the city centre, Cotham Gardens Park and Redland train station. Parking via attached single garage (18'5" x 12'3"). Offered with no onward chain which allows for a prompt and straightforward move. Within the Cotham residents parking zone. 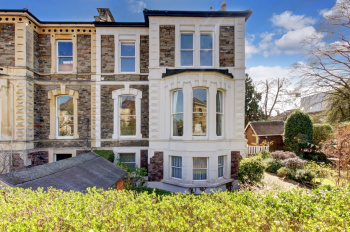 A beautiful Victorian garden apartment with private entrance and a flexible layout. 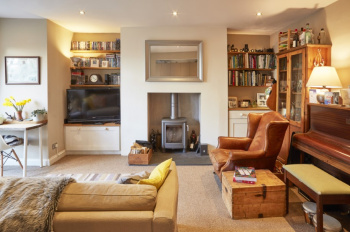 Presented to a very high standard, it is currently configured with kitchen with space for dining table, sitting room, 2 bedrooms, study/occasional bedroom 3, study area in the entrance hall, quality bathroom with separate WC, outside bike store and recently landscaped garden. The accommodation comprises a spacious entrance hall, newly fitted kitchen with space for a dining table and opening into a very homely sitting room - both with direct access out onto a generous, landscaped rear garden, 2 bedrooms, a very useful study/occasional bedroom 3, high quality bathroom and separate wc, outside bike store. A truly impressive and large (over 1,100 sq.ft. 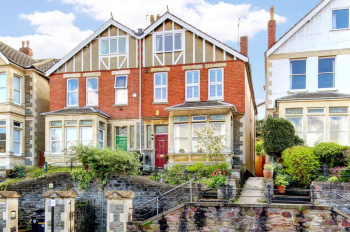 ), 2 double bedroom (1 with en-suite) period converted apartment located in leafy Redland and enjoying spectacular panoramic views over Bristol. The property offers generous living space and a separate kitchen/dining room as well as benefiting from use of off street parking. 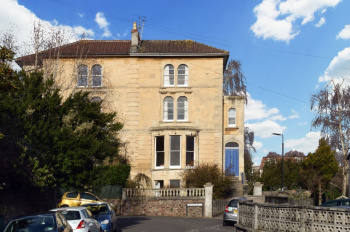 Desirable Redland location, opposite Redland Green Park and within easy reach of Blackboy Hill/Whiteladies Road, Gloucester Road, Redland train station and the acres of green open space of Durdham Downs. Accommodation: generous central reception hallway, (17'9" x 16'1") sitting room with breath-taking cityscape views, (17'11" x 13'0") sociable kitchen/dining room, bedroom 1 with en suite shower room/wc and built in wardrobes, second double bedroom and separate bathroom/wc.